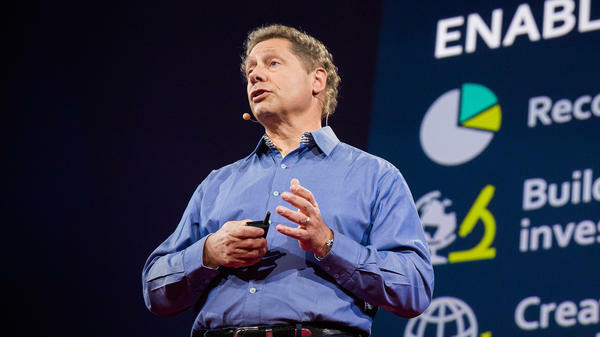 Seth Berkley: How Can We Prevent The Next Epidemic? Seth Berkley on the TED stage. Part 2 of the TED Radio Hour episode Prevention. Since 1976, there have been two dozen Ebola outbreaks — yet there is still no vaccine. Epidemiologist Seth Berkley says vaccine development is the key to prevent future infectious disease outbreaks. Seth Berkley is an epidemiologist and the CEO of Gavi, the Vaccine Alliance. Gavi is a global health organization that improves vaccine access in developing countries. Berkley is currently leading Gavi's efforts to provide vaccines to another 300 million children while building sustainable immunization programs around the world. Prior to Gavi, Berkley led the development of HIV vaccines as founder and CEO of the International AIDS Vaccine Initiative. So the first thing that might come to mind when you think of prevention is disease, especially infectious disease like malaria or yellow fever or cholera or Ebola. And Ebola, of course, was all over the news just a few years ago when an epidemic started in a small village in Guinea in West Africa and then started to spread to neighboring countries. By the time health workers got the outbreak under control, it had killed more than 11,000 people. I remember how scary that was. SETH BERKLEY: It was very scary 'cause it not only killed people but then killed the health workers who were taking care of them. And, of course, people bleed out and, you know, it's a horrible death. RAZ: This is epidemiologist Seth Berkley. BERKLEY: I'm the CEO of Gavi, The Vaccine Alliance. RAZ: Seth's organization works to get vaccines to people in developing countries to prevent or at least to slow down the spread of epidemics because today, unlike any other time in human history, an outbreak in a small village in Africa can spread around the world in a matter of days. BERKLEY: Well, absolutely. So, I mean, I often have dinner in Nairobi, you know, breakfast in London and lunch in New York. And that's within the incubation period of dozens and dozens of infectious diseases. People travel and therefore viruses travel. And so you're at threat from diseases that appear anywhere in the world. The best thing to do is to try to prevent those diseases at the source of where they might spread. RAZ: The fact that public health workers managed to get the Ebola epidemic under control at all and prevent millions from dying is actually astounding, especially because there is still no approved vaccine for the disease, no way to prevent it in the first place. And why? Well, here's Seth Berkley's take from the TED stage. BERKLEY: We fear Ebola because of the fact that it kills us and we can't treat it. But wait a second, why is that? We've known about Ebola since 1976. We've known what it's capable of. We've had ample opportunity to study it in the 24 outbreaks that have occurred. And in fact, we've actually had vaccine candidates available now for more than a decade. Why is it that those vaccines are just going into clinical trials now? This goes to the fundamental problem we have with vaccine development for infectious diseases. It goes something like this. The people most at risk for these diseases are also the ones least able to pay for vaccines. This leaves little in the way of market incentives for manufacturers to develop vaccines unless there's large numbers of people who are at risk in wealthy countries. It's simply too commercially risky. Vaccine development is expensive and complicated. It can cost hundreds of millions of dollars to take even a well-known antigen and turn it into a viable vaccine. And this is really the point. The sad reality is we develop vaccines not based upon the risk the pathogen poses to people but on how economically risky it is to develop these vaccines. RAZ: In just a moment, we'll hear from Seth Berkley on how despite this flawed system, we can prepare for and maybe even prevent future outbreaks. I'm Guy Raz, and you're listening to the TED Radio Hour from NPR. RAZ: It's the TED Radio Hour from NPR. I'm Guy Raz. And on the show today, ideas about prevention. And just a minute ago, epidemiologist Seth Berkley explained why we still don't have vaccines for diseases that have been around for a long time, like Ebola. And the answer - vaccines cost a lot to produce, and there's no real incentive for companies to make them for developing countries. BERKLEY: If the vaccines are being made based upon the risk for commercial production versus on the risk of disease, that is a problem. And so, you know, we collectively as society made a decision that the private sector who's going to produce our drugs and vaccines, we have to, you know, acknowledge that and put incentives in place to make sure that they produce vaccines on, you know, that are needed and not necessarily just the ones that are commercially most viable. RAZ: Do you think we would be better off if this really was led by governments? BERKLEY: I think the challenge in governments, and we've seen this in many parts of science, is that, you know, there is a danger of central planning and there's a danger of not having the power of innovation. And I think what's interesting about when, you know, the commercial sector moves forward on something is often multiple companies move forward at the same time. Sometimes when you're lucky, you know, you get multiple products coming out and you can choose the best of those. These are all the good parts of having industry do it. And, you know, it's critical for us to continue to innovate if we're going to ultimately have the products we need. RAZ: Now, Seth says there are ways to strike a balance between what's cost effective and what's morally right. BERKLEY: The first is to recognize when there's a complete market failure. In that case, if we want vaccines, we have to provide incentives or some type of subsidy. We also need to do a better job at being able to figure out which are the diseases that most threaten us. We have to stop waiting until we see evidence of a disease becoming a global threat before we consider it as one. Every year, we spend billions of dollars keeping a fleet of nuclear submarines permanently patrolling the oceans to protect us from a threat that almost certainly will never happen. And yet, we spend virtually nothing to prevent something as tangible and evolutionarily certain as epidemic infectious diseases. And make no mistake about it, it's not a question of if but when. These bugs are going to continue to evolve. And they're going to threaten the world. And vaccines are our best defense. RAZ: But even when vaccines do exist to treat a disease, there's another big problem - actually getting the vaccines to the people who need them most. BERKLEY: So for that, what we have to have is systems 'cause vaccines don't deliver themselves. So first of all, you know, initially, some of the vaccines were very inexpensive. They're old vaccines. They've been produced in large quantities. And the challenge in those cases is getting them to the people who need them. So you need a health care worker, you need a cold chain. That's to keep the vaccines refrigerated when they go out in the fields. You need a data system to record those vaccines and then also be able to follow up if they're being missed. And, you know, people don't necessarily live near health centers. So, you know, a woman walks 10 kilometers to get to a health center to vaccinate her child and there's no vaccine there or there's no health worker there, it's unlikely the next day she's going to pick up and, you know, turn and walk another 10 kilometers. So one of the problems then is having the systems in place, and it's something that we're actively working on. The other problem is the newer vaccines start quite expensive and with limited quantities. And the challenge was how do you get that cost down and make them affordable for the developing world? And that's what my organization, Gavi, The Vaccine Alliance, was created to do. RAZ: Do we know how many kids die from those diseases every year? BERKLEY: Today we estimate that there's about 1.4 million children that are still dying of vaccine-preventable diseases. RAZ: Wow, that's just unbelievable. But there, I mean, there are some vaccination programs that have been pretty effective - right? - like for polio. BERKLEY: Yes. We're in a moment that's extraordinary in that there's only been three cases of polio this last year. And so we're right on the brink, potentially, of eliminating that disease. And this is what happened with smallpox. Smallpox was a terrible disease that used to kill millions of people. And that was, you know, completely eradicated in 1977. And the effects of these when we are able to eradicate a disease are, you know, enormous cost savings 'cause you can not only stop vaccines but, of course, you get rid of the terrible disease burdens that these diseases had. RAZ: So, Seth, right now, you know, we know that climate change is happening, right? And it will get worse in the future. Like, you know, the oceans will rise and sea ice will melt and human migration patterns will change as a result of all this. You know, and yet even though we know these things, it doesn't necessarily move enough of us to change or to prevent those things from happening. You know, and it seems like it's the same, like, the same challenge when it comes to preventable diseases and diseases that could potentially be cured or eliminated through vaccination. BERKLEY: Well, I mean, you know, they're connected. So if you look at Africa, we're going to see a quadrupling of population by 2100. As you have to feed that population, it's going to mean pushing towards the forests and having destruction of forests and contact between people and, you know, animals in the forest. So if you take all of that together, what you're going to see is there's going to be lots more infectious diseases that are going to occur in these settings. The challenge then is is the world going to focus on this, you know, either from a humanitarian point of view, because it's the right thing to do, but if not, from a self-preservation point of view? RAZ: Do you think that it's, in some ways, part of human nature, like, that we're almost wired in this way to react rather than to prevent? BERKLEY: If you look at the, you know, the paradox of prevention, I mean, you know, people will do anything to be treated. They'll overvalue treatment even when you have treatments that are not very good, they want to try them if they have a serious disease. On the other hand, you know, they won't do much to try to prevent it. We've seen that in smoking, we've seen that in seatbelt use, we've seen that in, you know, many different risky things. And so I think it is a fact of human nature that people undervalue prevention and overvalue the treatment and dealing with disease. RAZ: Seth Berkley is CEO of Gavi, the Vaccine Alliance. By the way, they're actually on track to license one of the world's first Ebola vaccines by the end of 2017. You can hear Seth's full talk at ted.com Transcript provided by NPR, Copyright NPR.